and is absorbed through the gut wall. 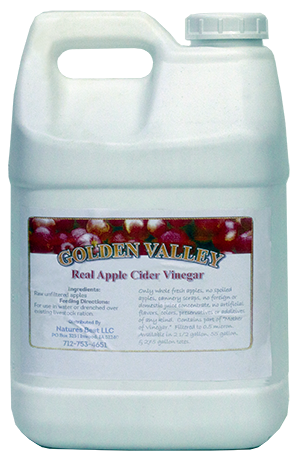 SWINE: Mix 1-2 cups of ACV with 20 gallons of water, or offer in a non-tip container. Can offer free-choice 50/50 water mixture, or even molasses. one part ACV for 2-3 days.